Press play, for more about my There are Fairies books. There are Fairies at the Bottom of Our Garden. Every day the Water Woman lovingly tends her beautiful garden at 186 Gilbert Avenue. Sometimes she feels lonely and sad because her children have grown up and moved away. One very happy day her granddaughter, Mary comes to stay. She introduces Mary to her beloved garden that she shares with some very special little beings. Mary wants more than anything to catch a glimpse of the magical creatures hiding amongst the blooms, but first she must learn the true magic of love and respect. Mary has come to stay with her grandmother at 186 Gilbert Avenue where she helps to care for the beautiful garden. Since hearing about the little beings who make the garden their home, Mary is very excited to catch a glimpse of them. 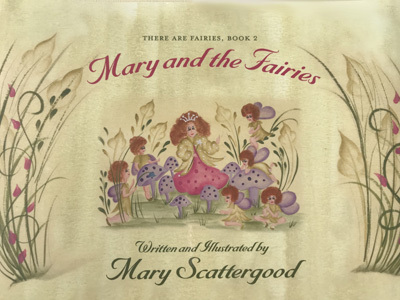 In this the second book in the series “There are Fairies”, Mary learns a valuable lesson about how love and respect for the things we care about can bring magical rewards. The Fairies Have a Problem. 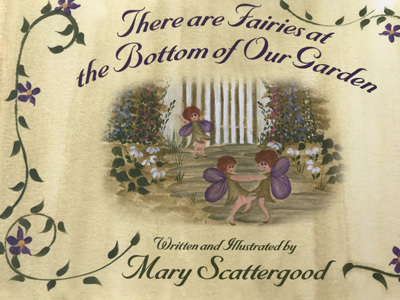 “There are Fairies”, Mary and the fairies are enjoying life in the enchanted garden until they discover that someone has been making a mess. They wonder who it could be. The Water Woman thought it was Mary but the fairies knew that Mary loved and respected her Grandmother’s garden. 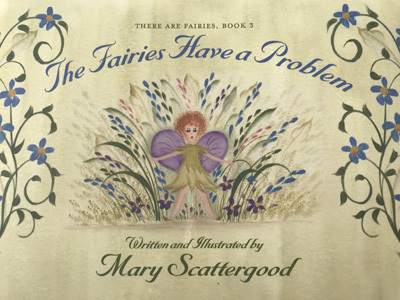 Mary and the fairies work together to solve the problem. Single books are available for 19.95 a copy. A 3 book gift set is 52.95.